iRealHousewives | The 411 On American + International Real Housewives: Lisa Vanderpump Confirms She Hasn’t Quit RHOBH And Sets The Record Straight On Season 9 Drama! 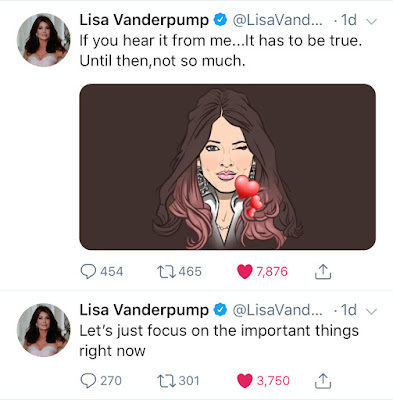 Lisa Vanderpump Confirms She Hasn’t Quit RHOBH And Sets The Record Straight On Season 9 Drama! Lisa Vanderpump is setting the record straight about her future on The Real Housewives of Beverly Hills amid reports claiming she’ll be exiting after Season 9 of the Bravo hit series due to her feud with other cast members.